In the last six years, Apple has managed to go from being entirely new to the smartphone scene to regularly producing one of the industry’s most sought-after devices in the form of the iPhone. Regardless of personal device preference, the iPhone brand is immediately recognizable and known all over the world as a beacon of quality. Although consumers from around the globe are familiar with the iPhone as we know it, a former Apple advertising executive has revealed that it could of been an entirely different story if the company had chosen one of the other product names in the running. Ken Segall is a former Apple employee who spent a number of years operating at the head of the Cupertino company’s advertising department. 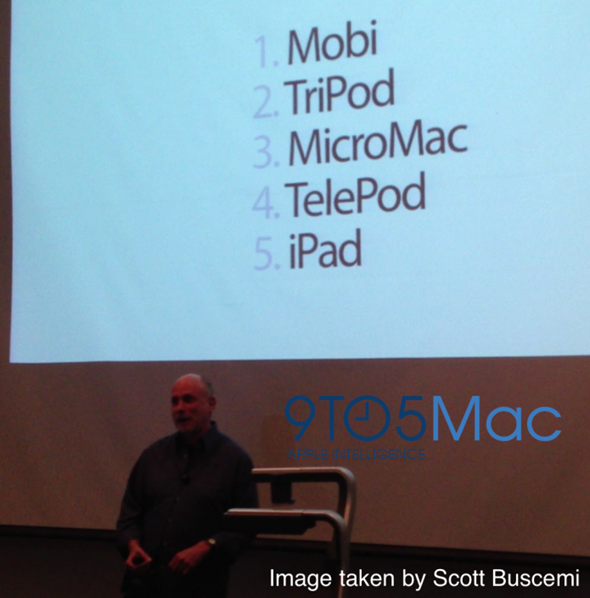 During a recent event at the University of Arizona, Segall took the opportunity to give us an insight into the potential naming conventions that were being considered for the iPhone prior to the original launch in 2007. Apple seem to have chosen the perfect name with the “iPhone”, but we so easily could have found ourselves using the Apple “TelePod” or “Tripod”. When Apple was getting ready to announce their new smartphone to the world, they were also toying with the potential name of the device. TelePod, Tripod, Mobi, MicroMac and iPad were all names that were seriously considered for the launch in 2007, and although the iPad did eventually get an outing in 2010 with the launch of Apple’s first tablet, the other names were obviously dismissed. Segall elaborated on the names in the running by stating that the company felt the “TelePod” idea stirred up feelings of a futuristic phone type device. It doesn’t take a genius to work out where the pod section of the name comes from. Apple has always played on the fact that the iPhone is a fantastic device that is more than capable of acting as a phone, a music player and a powerful internet based device, hence the potential for the “TriPod” name. It certainly isn’t unusual for companies to iterate through a number of names before settling on the one that they feel best represents their product. The iPhone brand hasn’t been without its issues for the fruit company, but after coming to a mutual licensing agreement with Cisco to use the name, it certainly seems to have been the right choice for one of the world’s most iconic products.